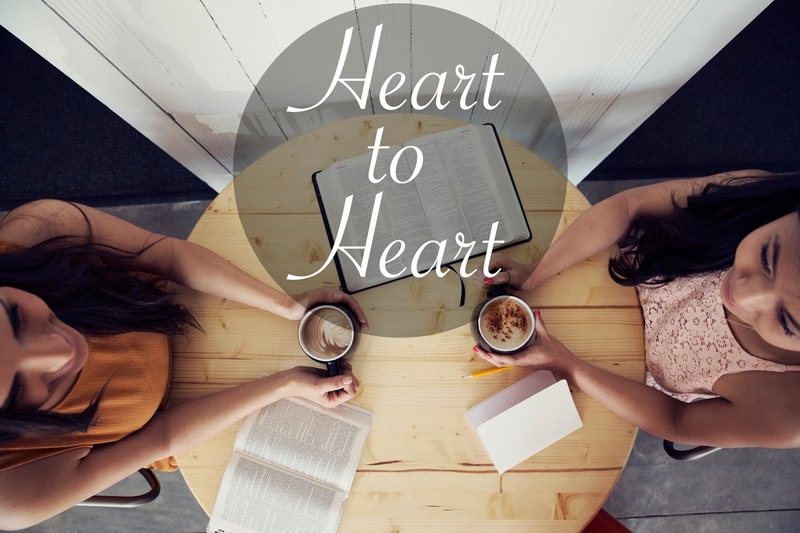 Heart to Heart: what needs to die in you? Have you ever loved a pair of shoes? Like REALLY loved a pair of shoes? And you just couldn’t get rid of them because you loved them so much?! Well, welcome to the story of my life with shoes! I’ll be honest with y’all, when I find a pair of shoes I love, I love them to the point of death and still keep wearing them until they should be long in the grave. When I was in high school, I decided that I really wanted a pair of black and white checkered vans. In those days, the style was pretty punk rock and the whole “emo” thing was in full swing. And I loved it. I had this idea in my head that maybe if I loved the look enough, it would be my “in” to befriend and preach the Gospel to the punk rockers around me. I genuinely believed that might work. In this case, it really did work! I started to love dark colored clothing and a good pair of checkered Vans. Eventually they went from being white and black checkers to disproportioned checkers that were faded black and a nasty grey. At one point, I remember my mom suggesting that it might be time to get rid of the Vans. Of course I was appalled! How dare she even suggest that I get rid of those babies! They were my favorite pair and I loved their grungy look. So I kept wearing them…and wearing them. They came with me to college. One night, my roommate told me that she loved me but that the Vans simply had to go. At this point, the top part was barely in tact and the bottom rubber was flopping around in some attempt to be a flip flop. They were ripped and torn but my heart could not handle getting rid of them because they had become part of my “style” and “identity” (Yes, I realize that’s an unhealthy love to have towards a pair of shoes). How could I get rid of this staple item? How could I let go of the shoes that started it all? After my roommate confronted the ratty old Vans, I had an ah-ha moment of sorts. I remember asking myself these questions: "Do I want to be known as a shoe hoarder? For people to recognize me as someone who doesn’t take care of herself? Do I want to be identified as "grungy"? Do I want to be a person who can't let go of things when I need to?" I realize this was a lot of self-analyzation surrounding a pair of shoes, but I promise I will explain. After a few weeks, I approached my roommate and informed her that it was indeed time and I was in fact ready to let go of my mangled Vans. That maybe at some point I could even get a new pair. I never did get new ones, but I can tell you that getting rid of those old Vans helped me up my shoe game. If you read through verse 17, you will see that Paul is imploring the church of Colossians to live a Holy lifestyle. A lifestyle that is consistent with their new identity. All of this is part of a process. But the process of growth will always demand that things die. Not just that things be cut off, but that they be put to death. Scripture literally says to, “Put to death therefore what is earthly in you.” Put to death the things that are not of God. Put to death the things that stunt your growth. Why? Because these things will eventually lead to death if we don't put them to death. These things will lead to impure hearts and then habitual anger or evil desires will lead to our demise. Some of these things we may not even realize are there. There might even good things that aren't God things that we keep alive simply because we cannot bear the thought of letting them die. My vans were a good thing in the beginning, but eventually they became a hindrance that I desperately needed to let go of. Sometimes we have our hands wrapped around things waiting for the fruit to finally come from them even when we know it's time to let go and move forward. Believe me, I get it. I’ve been there. Got the t-shirt and the bumper sticker. More times than I would like to admit. But, how can we hope or expect to grow, not just wider, but deeper, if we have all these barriers in the way? Barriers that we are creating and leaving there ourselves. We may still grow in some ways, but surrendering all to the Lord means ALL and ALL of the time. When we come to know the Lord, there will be obvious things that need to be let go of. But what about the things that come up along the way? It doesn’t mean every issue is unjustified because many of them are. There will be troubles, the Bible is very clear about this, but the response is the key. This life will not always make sense to us, actually most of the time it won’t make sense. So THROW OFF AND KILL the things that are not of God. The things that so easily wrap us up in them. The sin that has us bound. The things that keep us from growth. I’m talking about the things that need to be put to death once and for all. I had so many blinders on when it came to my Vans. I couldn’t even see how bad the rips in my shoes had become. I couldn’t comprehend that they were grungy and unacceptable. But once those blinders were taken off, I gained some perspective and came to a moment of realization. They had to go. Maybe it’s a really old thing that you continue to struggle with. Why are you still holding it and allowing it to dictate how you see the world and relationships? Suddenly I was face to face with a brick wall. It wasn't a huge issue or even blatant sin, but I did have an attitude of pride that was rooted in deep bitterness and frustration. It was something so small that I had to look hard to even notice, but it had me bound. Especially my mind. I thought I knew better. I thought that it was a non issue. But again I wasn’t surrendering everything. I was saying “God, I give you my all…except this one heart issue that is really running around in my mind and clouding my judgment. But don’t worry as I am certain it's justified." These moments of revelation can come straight from the Lord or even by way of a safe person in your life who loves you enough and is brave enough to tell you that it's time to let go. Of sin. Of cycles. It’s time to put on the full armor of God and walk boldly in the free life God has so graciously given us. It's time to move forward! Why? Because Christ gave us life and our lives are to be lived for His glory. Why would we want to be hindered any longer? Since God has given us real, genuine freedom, why would we choose to live with dead things? He’s asking us to grow. He’s asking us to dig deeper. He's asking us to let go and let it die.